Visitor management systems improve the flow of visitors through your office while also reducing the administrative burden and increasing security. Here are seven best practices for implementing a visitor management system. Yes, a visitor management system benefits you by improving office productivity and security. But it is also one of the first interactions visitors will have with your company, and the experience needs to be friendly. Select a system with an interface that is easy to understand and use, and customize it so that the most commonly used functions are front and center. It shouldn’t take more than 15 to 20 seconds for a visitor to check in. 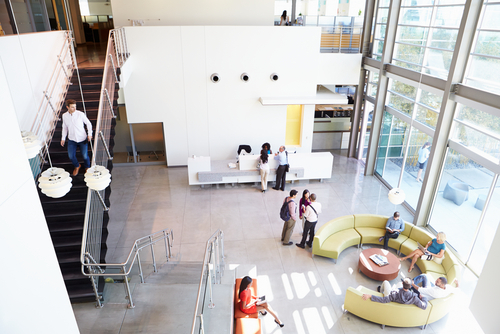 When visitors walk into your office, do they know immediately where they are? 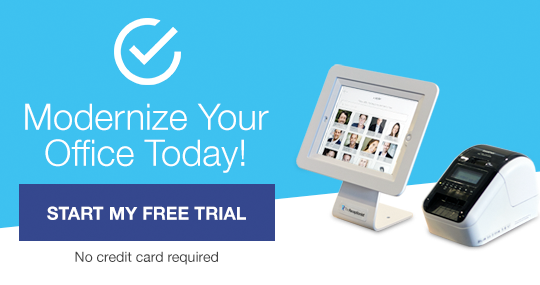 Customize your visitor management system with your brand so that visitors associate their check-in experience with your company, rather than feeling like they are in just any old office building. This is a security essential. Not only does this practice ensure that the person wearing the badge is the one who checked in, but it also gives you a visual record of everyone who visited your office. Set your visitor management system to automatically alert employees when their visitors arrive. In addition, set up message forwarding as a backup so that if an employee calls in sick and forgets to cancel their appointments, someone else will be notified when those appointments show up. Your visitor log should be an accurate record of who is in your office at all times. In the case of an emergency requiring an evacuation, an accurate visitor log helps you ensure that everyone is accounted for. Thus, it is essential that visitors check out before they leave.